Jenkins supports setting build triggers using Jenkins crons. 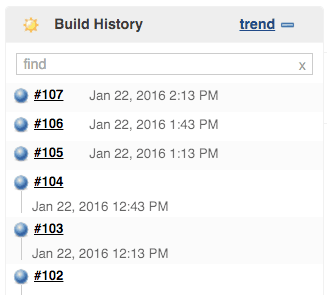 This way build will run at regular interval and possibly Jenkins can send email on failure. 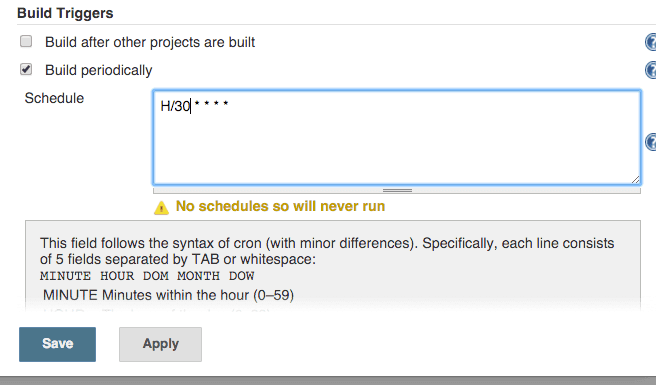 Here are steps to setup cron in Jenkins project. Open Jenkins project and click on configure to open configuration screen for the project. Locate build trigger section and select build periodically. Click save and now you should be able to see a build every 30 min (or approximately 30 min). Here is how build history may look like after few hours.